Click the button below to add the C-THRU CONCENTRATE - Concentrated Glass Cleaner to your wish list. 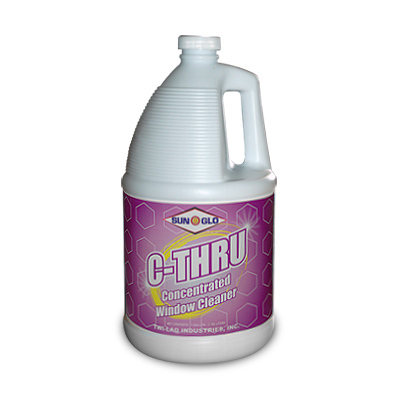 This non-ammoniated, non-butyl heavy duty, glass cleaner features advanced surfactant technology to clean even the most stubborn types of deposits. High performance, streak free, commercial strength formula leaves glass bright and clean. One gallon of concentrate makes 6 gallons of RTU glass cleaner.